We couldn't be more excited for these two! 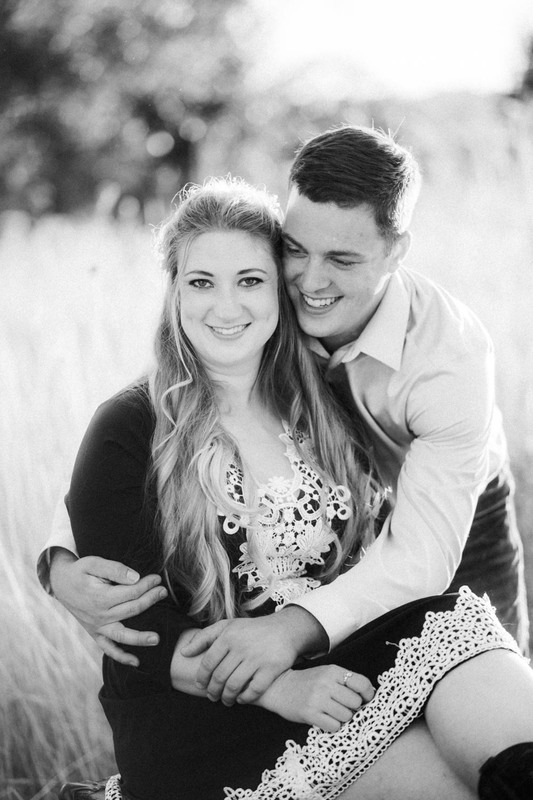 Audrey and Cody have known each other since grade school and and have decided the time has come to tie the knot! 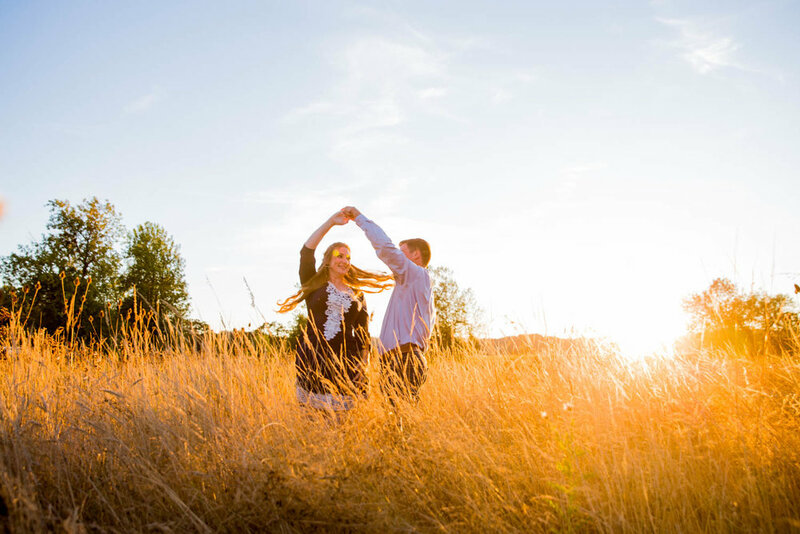 We shot their engagement photos on their gorgeous property near Turner, OR where the warm sunset glow gave us the perfect backdrop. 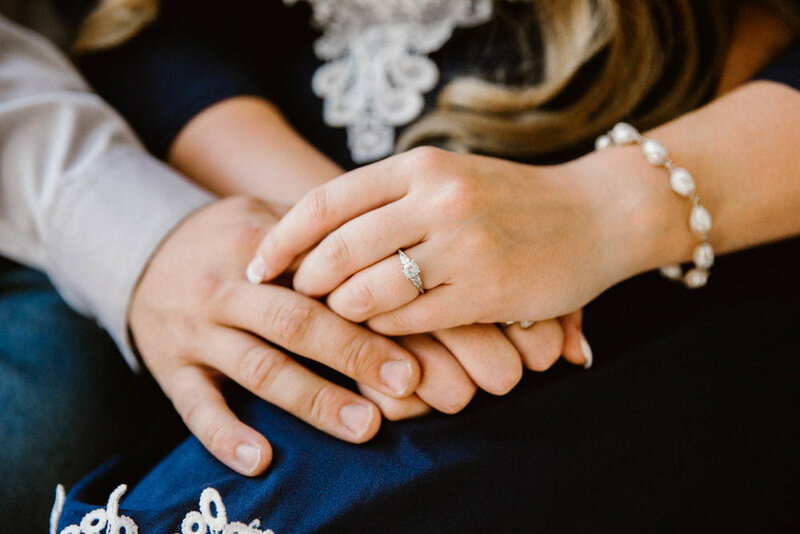 We love it when clients bring things that are meaningful to them to use in their photos, and these two did just that. 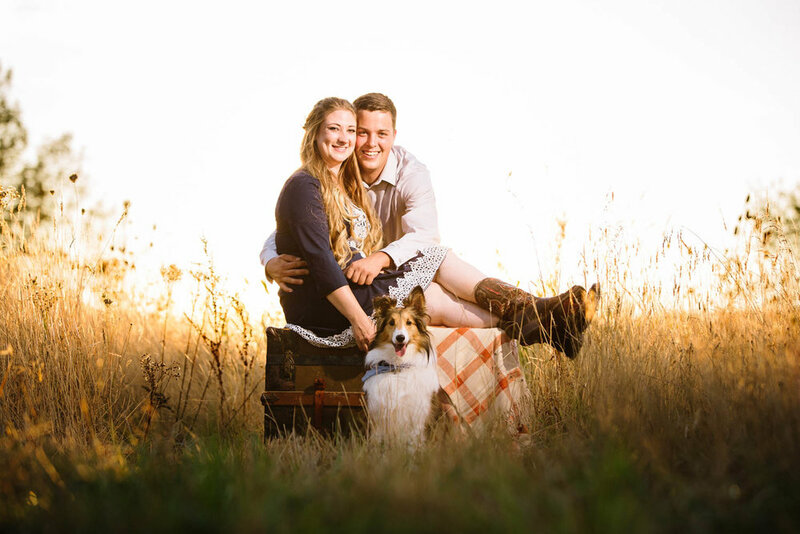 Audrey chose props that beautifully represented her Irish heritage and they got their sweet dog involved as well. 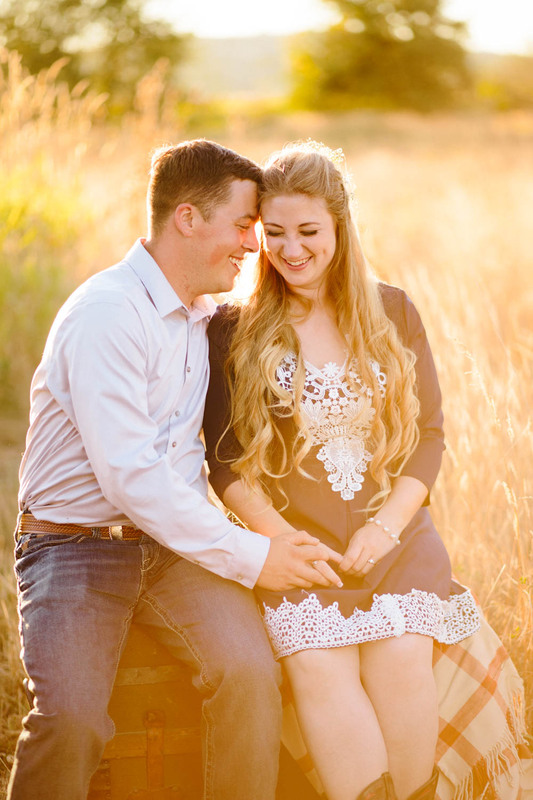 By the end of the evening this shoot left us wondering, "Is there is anything more romantic than golden hour?" 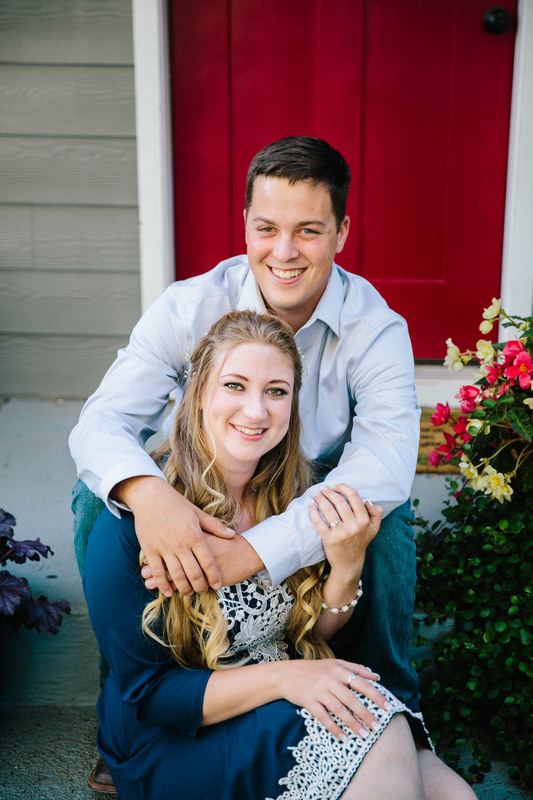 We greatly enjoyed our time with Audrey and Cody and cannot wait for their wedding next spring at Green Villa Barn in Independence, OR!